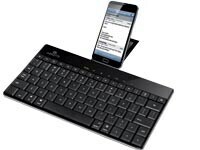 A look at the recently launched gadgets in the market. 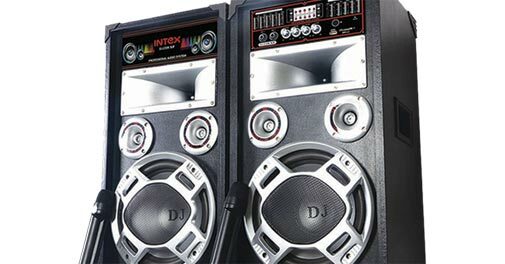 Intex joins the bandwagon of speakers designed for party enthusiasts. Of the four models launched, the DJ230K SUF is the entry level speaker which yields a powerful and rich bass with power output of 80W-120W. 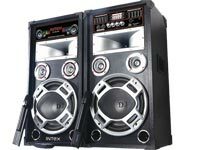 The 10" & 8" speakers generate super-deep bass for that thumping dance floor sensation. In addition to producing high frequency beats, the 3" tweeters have multicolor LEDs which glow as per the power output generated by the speakers. The speaker is accompanied with a double cordless mic and a remote control. After launching the flagship smartphone E-Life E6 in India, Gionee has stepped into phablets with the G-Pad G3. This has a 5.5 inch display and operates on Android v4.2. It has a 5MP auto focus camera and a 0.3MP front facing camera. It is a dual-SIM phablet with support for 3G and Wi-Fi connectivity, with a 1.2GHz quad core processor with 512MB RAM, 4 GB `2995 internal storage. Fujifilm India has finally announced its latest mirrorless camera, the Fujifilm X-A1, aimed at enthusiasts looking to upgrade from their point and shoots. 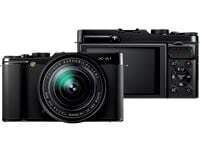 The Fujifilm X-A1 is equipped with a 16MP CMOS sensor with EXRII image processor. It has a number of special in-camera effects - Toy Camera, Miniature, Pop Colour, High Key, Low Key, Dynamic Tone, Soft Focus and Partial Colour. Polaroid has announced a new 7-inch Kids Tablet 2. 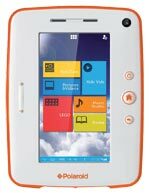 This runs on Android 4.2 Jelly Bean and comes pre-loaded with 70 apps and games for kids. It has a 7-inch HD display and a dual-core 1.6 GHz ARM Cortex-A9 processor. It has 1GB of RAM, and 8 GB of inbuilt storage expandable via microSD card support. It has front and rear cameras for video chatting. It supports Wi-Fi, 3.5mm headphone jack, and inbuilt accelerometer sensor. Google is now bringing all its hardware to India. 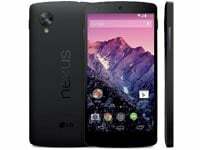 The next in line is the Google Nexus 5. 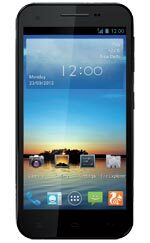 This phone has been manufactured by LG and features a 4.95 inch capacitive display along with a micro SIM slot. It is powered by 2.3 Ghz quad core processor and paired with 2GB of RAM. It has an onboard storage of 16GB and runs on Android 4.4 (kitkat), an 8 MP camera, and runs on a 2300 mAh battery. 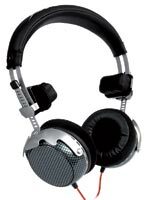 Fenda Audio has introduced a new headphone, the Discovery H50. It has a finely stitched genuine leather outer headband for rough and tough usage. There is an adjustable inner headband and soft touch ear pads. The headphone comes with a 3mm gold plated jack which is compatible with mobile phones, iPods, MP3 players, iPads, laptops and PCs.